The Xfinity Series has a stand-alone race this weekend, Friday through Sunday, Aug. 25-27, at Road America in Elkhart Lake, Wisconsin. 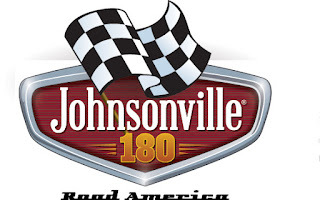 Joining the Xfinity Series for the Johnsonville 180 weekend are the SCCA Pro Trans Am Series and the ARCA Racing Series. The annual Hauler Parade to Road America takes place Friday at 5:30 p.m. CT. The parade departs from Plymouth High School, travels north on Highway 67 and ends at the track. The free event begins at 2:30 p.m. CT with Family Fun activities. Fans looking for something to do throughout the weekend can check out public karting, zip lining and disc golf at Road America. Fans 14 and older (parent/guardian must be present if under 18) can participate in karting at the Road America Motorplex, in the infield over the Johnsonville Bridge, in karts that reach speeds up to 40 mph. Fans age 6 and over (70-275 lbs., with a parent/guardian if under 18) can fly on the dual racing zip lines at the Landing Tower near Turn 14. There is also disc golf for all ages located across from the Gearbox concession stands in the paddock (front nine) and west of the Sargento Bridge (back nine); rental discs are available in the Paddock Shop. Find out more about the track and purchase tickets for the weekend at www.roadamerica.com. This will be an amazing traveling experience in american road. Thanks for bring these different activities on the roadside of America for all the age groups. Now everyone can take part regardless of the age. This weekend going to be super busy. See you on the Road America!